The vision system counts the number of cookies in a package. Blur reduces noise by defocusing images through digital processing. As a result, it is possible to stablize inspection targets with variations in appearance with the Pattern Search tool. Variations in color, as well as glare from the plastic packaging caused miscounts in the inspection. 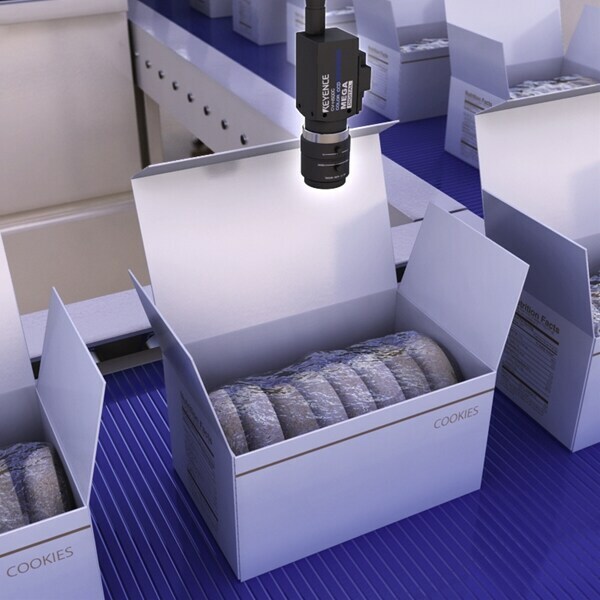 The XG Series makes it possible to stably count the number of cookies by using a Blur filter and the Pattern Search tool.